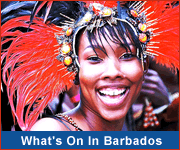 Find the Barbados hotel or resort that is perfect for your Barbados vacation. 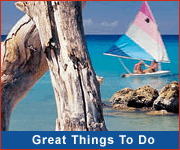 Whether you wish an all-inclusive resort or a family-run Barbados hotel you're sure to find it here! This beach-front hotel provides a lovely tropical setting, with a wide range of facilities including several dining options and an exquisite spa. Sugar Bay Barbados is a 4 star all-inclusive resort located on one of Barbados’ turtle nesting beaches. Enjoy five unique dining options and premium drinks. This Boho-Chic meets island style resort allows you to unwind in comfort and style. Pleasure and relaxation await you at Golden Sands! Relax at the poolside bar with a specially brewed rum punch or head across to the white sand beach for sunbathing and swimming... the experience is yours to discover at Golden Sands! Ideally located on the southern coast of Barbados, this 138 room all suite resort overlooks a quarter mile of white, sandy beach and invigorating turquoise water. Step out of Coral Mist Beach Hotel onto soft sandy shores, diving into clear turquoise ocean waters. Spend your days at the beach or soaking up the sun around the outdoor pool. This informal apartment hotel is situated at the quiet end of St. Lawrence Gap near to nightlife, dining, watersports and activities. Just 100 steps away is a lovely tropical beach where you can soak up the sun! Time Out Hotel is ideally located in the St. Lawrence Gap area within easy walking distance of great nightlife, restaurants and bars. 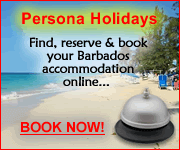 You'll enjoy this affordable, comfortable accommodation just across the road from one of Barbados' best beaches. Imagine relaxing in a hammock under palm trees, dreaming into the blue of the ocean and listening to the fabulous sound of the waves, an everlasting breeze caressing your skin. Located on spectacular Crane Beach, this newly developed historic resort offers an idyllic getaway. Superbly furbished in traditional colonial style, most of The Crane's spacious rooms and suites feature fabulous ocean views and private plunge pools. Located on one of Barbados' best beaches, this family-owned hotel offers a range of accommodation options and numerous on-site facilites including an outdoor pool, restaurant, gym, and games room. Discover the harmonious blend of luxury, tranquility and seclusion on this select hilltop boutique hotel. A Mediterranean architecture and warm ambience, combined with lush tropical Barbados gardens form a welcoming elegance and atmosphere.